At El Furniture Warehouse in London, Ont., Andrea says posting stories and photos online while at work is part of the job. Andrea is a server at the popular Richmond Row bar. She agreed to speak to CBC London if her real identity was not revealed. She fears losing her job. Andrea says, when business is slow, managers will round up staff and have them take photos of themselves to post on their social media accounts. The posts invite customers to come to the bar. Andrea has thousands of followers on Instagram and she admits the request makes sense for El Furniture Warehouse. Recently, however, she’s been doubtful of the practice. Andrea says both men and women are asked to post to Instagram to promote the bar. She says men will typically post photos posing with alcohol or on skateboards. But women must look desirable in their photos. “Whereas us, we’re just used as accessories, taking selfies,” she said. Andrea says the size of social media followings now influences the bar’s hiring practices, regardless of a server’s experience. Andrea also says servers will be singled out for photos depending on their online popularity and attractiveness. 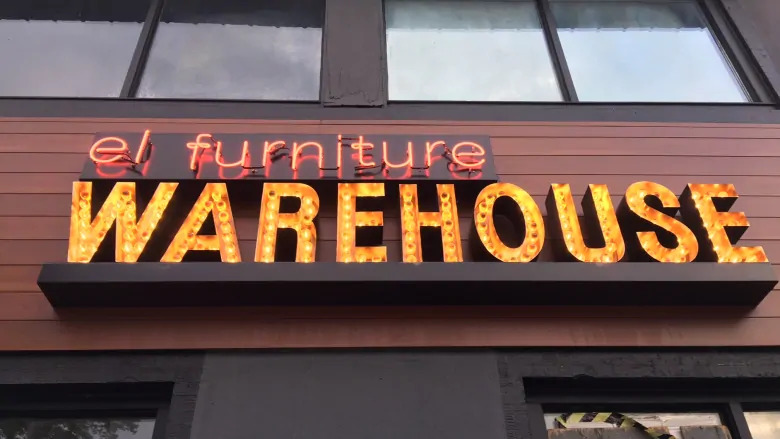 CBC London reached out to El Furniture Warehouse regarding its social media policy and whether it played a big role in the marketing and hiring of staff. But the popular bar used to be a client of Antisocial Media Solutions. The agency specializes in digital marketing — including branding and social media. Co-founder Daryl Louie said his company helped Warehouse with photography services at its various locations, but didn’t complete any branding work. Warehouse stopped being a client of Antisocial in 2014, he told CBC London, noting the company had no hand in creating this strategy. CBC London also spoke to another server who worked at a different bar, but had a similar concern about the use of personal accounts for promotion. Muneeza Sheikh, a labour and employment lawyer, says there’s nothing inherently improper with asking employees to post on their social media platforms. However, she says there are limits. Sheikh says it can be grounds for discrimination if certain people are being singled out to post online. And, unless there’s a clear violation of someone’s rights under the human rights code, there’s technically no breaching of the law. Maria has been working in London as a server for two years now. CBC London is also not revealing her real name. Maria says, in London, it’s definitely been the case that people use their personal Instagram accounts to post about their workplace. However, she says most restaurants and bars have their own accounts on social media and — while she’s heard of instances of women being forced to post online — she says it’s rare. But Andrea says she sees it differently. She says most bars disproportionately ask women to post online and that most of the time it’s in clothing that’s sexualized. Jarrett Vaughan, adjunct professor of social media marketing at the University of British Columbia, says one of the biggest ethical concerns facing social media is the sexualization of women. “It’s a real challenge that society is facing today,” he told CBC News. Vaughan says bars and restaurants will often use social media to display and demonstrate a type of lifestyle. He says, while it can be a great way to garner customers and business, there are concerns. “If servers are engaging in social media and if it’s used for the purpose of attracting men through the over-sexualization of women—that is when we start crossing ethical boundaries.